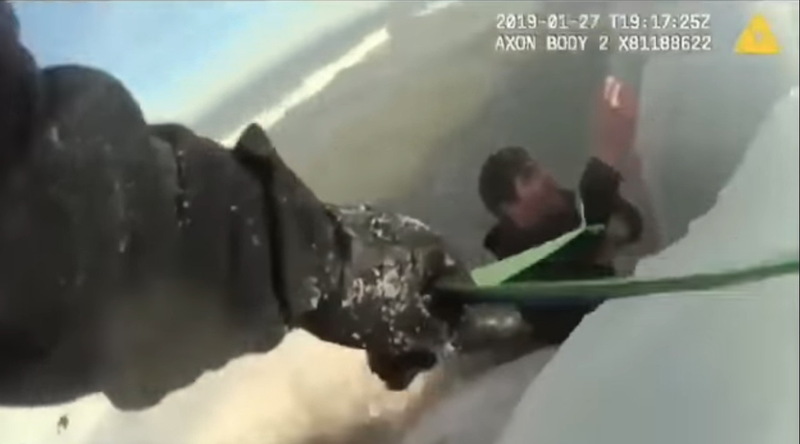 Chicago police tonight released bodyworn camera footage of officers rescuing a 33-year-old man and his dog from the frigid waters of Lake Michigan near Foster Beach on Sunday afternoon. The man and his pet have both recovered. 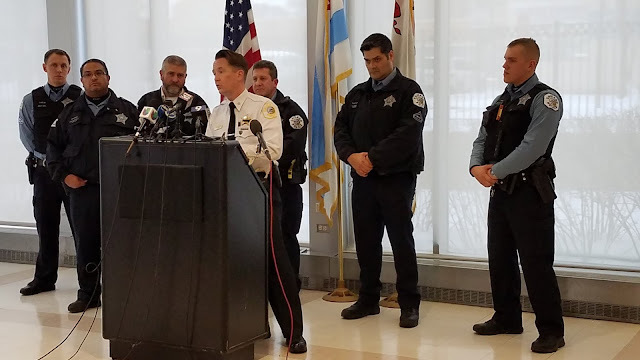 Police and fire units were called to the beach around 1 p.m. when the man had trouble getting out of the water after jumping in to save an American Eskimo mix puppy that jumped into the lake on his first visit to the beach. Arriving officers linked themselves together to rescue the man, police said. The lake’s water temperature is 34 degrees today at the Chicago shoreline, according to the National Weather Service. Without specially-designed gear, a person in the water will lose consciousness within 15 minutes, a member of CPD’s marine unit said. Police said the man was treated and released from Weiss Memorial Hospital.